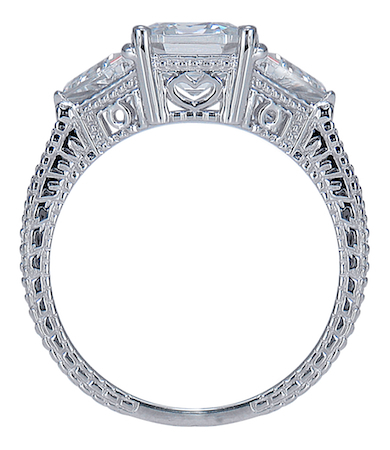 Our Bedford Asscher Cut Cubic Zirconia Engraved Estate Style Trillion Three Stone Ring is a gorgeous three stone ring with a majestic allure! 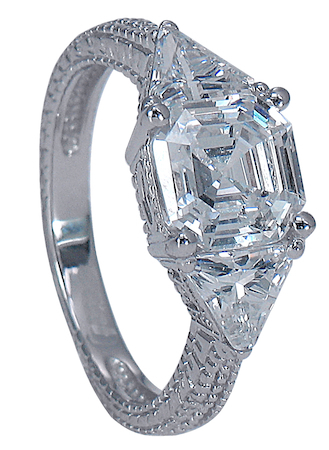 A 1.5 carat 7x7mm asscher inspired center stone is exquisitely set between a .75 carat 6mm trillion on each side. 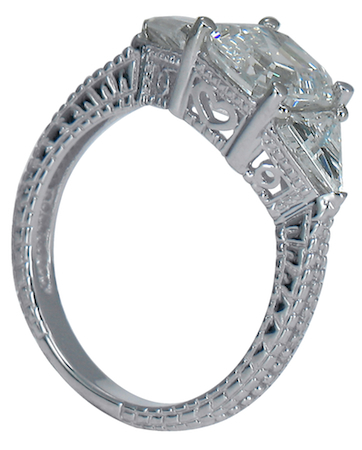 Additional engraved, cut-out and milgrain detailing further accentuate this beautiful estate style ring. 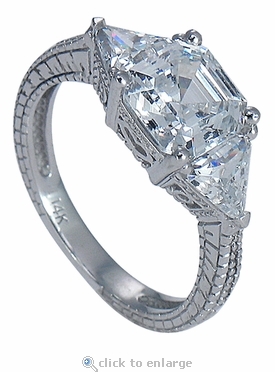 The shank measures approximately 2.65mm at its widest point and includes 3 carats in total carat weight. 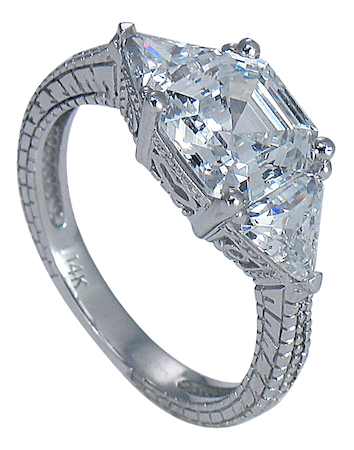 The original Russian formula cubic zirconia stones are all hand cut and hand polished for the highest quality of cubic zirconia available. Our solid gold mountings provide the perfect setting for our stunning stones and a finished product that will rival any other fine diamond jeweler in quality and in price.